When Is It too Cold for Dogs in Winter? 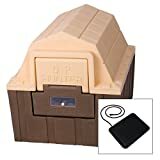 Can I use a dog house heater in my dog house? How to build a DIY dog house for winter? Buying and setting up the best dog house for winter helps your dog avoid dog hypothermia. This condition occurs during cold days when the dog's body temperature drops below 100 degrees Fahrenheit. The body of your dog cannot heat itself up efficiently and quickly becomes colder, before a lethal shut down. 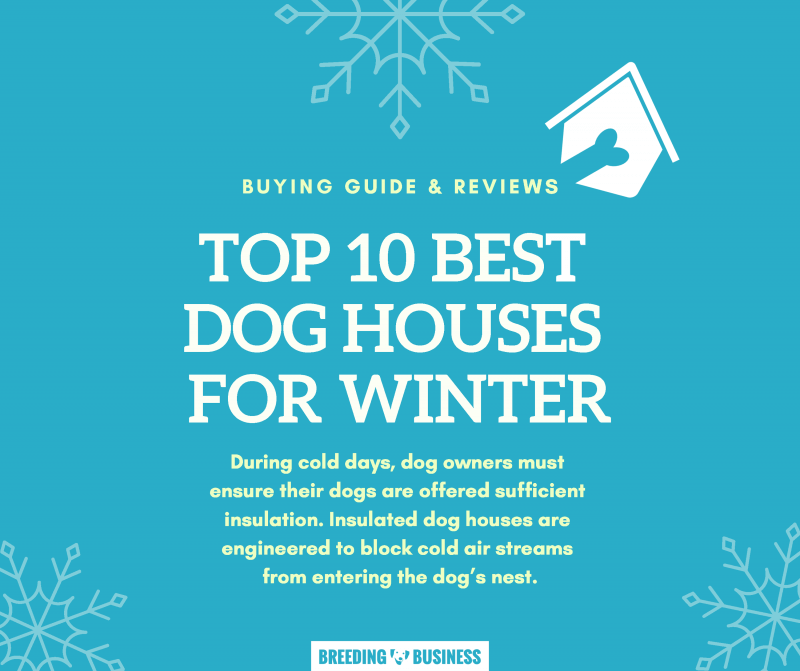 During cold days, dog owners must ensure their dogs are offered sufficient insulation using dog house heaters or simply, by installing a winter dog house. These insulated dog houses are engineered to block cold air streams from sneaking into your dog's nest. If your dog lives outdoors throughout the year, you do want to monitor them closely during the coldest days of the year. Regular outdoor kennels won't protect your day as well against harsh elements. Check for frostbites and color changes. If your dog shows barks or whines a lot, you will need to install a dog house heater outdoors or use a winter dog house indoors. More than low temperatures, wintertime is also a period in which blizzard, rain, and snow storms can attack a dog's organism. List of the top 10 best insulated dog houses for winter. 1. ASL Solutions Insulated Dog Palace + Floor Heater Unbeatable! 2. DP Hunter Dog House + Floor Heater Awesome! 3. Pets Imperial Insulated Wooden Dog Kennel Awesome! For cheaper options, you may decide to go with a dog house heat lamp as a safe external source of heat. Regardless of the product category, most heating sources are electrically-powered. Therefore, safety is very important to avoid burning a dog's skin, to electric hazards (e.g. cord chewing). The main goal of an insulated winter dog house is to isolate your dog's home from outside. Dog bodies naturally heat up their immediate surroundings, as long as very little external air enters the area. Holes must be shut, walls should be thicker, and beddings should encourage heat retention. Insulated dog houses focus on the flooring, too, to avoid the passing of cold temperature from the ground to the dog house. There is no deal kennel for winter since you also want your dog to be able to go in and out of their house — therefore it cannot be completely locked. Depending on your dog's size, you may need to add fleece blankets and thermal mats to offer additional levels of protection against the subzero temperatures. Buying a dog house for winter is a matter of understanding what measures do you want the dog house to take care of. Ideally, you want thick walls made from insulating materials and flooring that is designed to block the cold. Some materials and designs are better than others to protect against cold weather. For instance, metal is bad for winter time as it keeps the cold. Obviously, grid-like dog crates and soft dog crates are useless against cold weather. If you are using an indoor playpen you should move it to a warm room or insulate it further. Igloo-type dog houses are recommended due to their thicker walls. Additionally, raised floors help to trap the cold air between the bottom part of the house and the ground. Adding a fleece or sherpa blanket should further insulate the dog house floor. Regardless of the heat inside the dog house, if the door is wide open, it will get cold again within seconds. Ideally, find a dog house with a flap or make a DIY thick curtain for your dog's crate to stop cold air streams from entering the dog house. Ideally, you want to shelter the dog house in a garage or within your own home. If you do so, the closed kennel door can matter a little less since it is already sheltered from air drafts. Small dogs require a lot more warmth due to their lack of body fat and thinner muscle mass. Additionally, small dogs such as Chihuahuas lack a thick coat that would otherwise help with warmth. 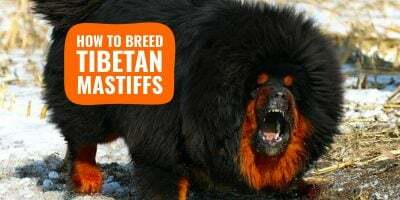 Big dogs too can lack such furry coats and should also be taken care of accordingly. Greyhounds are great examples of large and impressive dogs that get cold very fast when not active. A fleece blanket or snuggly coat should both help to compensate for their lack of natural insulation. Buying an outdoor winter dog house can also be challenging for giant breeds but our selection of reviewed products below cater for all types of dogs. Giant dog houses may be pricier, though. Winter is harsh on dogs and on gears. Cold, dirt, mud, snow, rain, rust, mold, and a heap of other potential issues to occur. Depending on where you place your dog's winter igloo, you may need to check it is in good shape weekly. Storms and strong winds can often deteriorate dog houses very quickly. The same goes for rain. 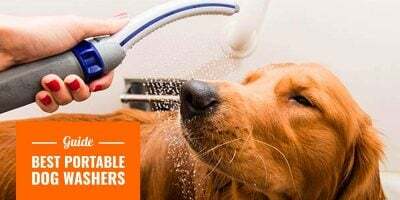 Hygiene is also important so you should probably wash up and completely dry your dog's beddings regularly. Dampness keeps the cold for longer and cancels any insulation you may have built. Dog house heaters can be safely installed inside or right outside a regular outdoor dog house as long as safety instructions are followed. Most heaters manufactured for dog houses are encased within a protective housing. This is to make sure dogs' hair and skin do not get burnt by accident. However, you should not use heaters made for humans to heat up a dog house. Dogs may suffocate if the heat becomes too high. Dog house heaters have their own thermostat and mechanisms to reduce or stop the heating once a certain temperature is reached. Review: Top 10 Best Insulated Dog Houses! There is no specific product line labeled as “winter dog houses”. However, some products are clearly engineered in ways that make them winter-friendly. A winter-friendly kennel offers several improvements and comforts to help dogs spend a warm winter, even outdoors. That said, you should also use common sense to add warm beddings and potentially a dog house heater for extremely low temperatures. 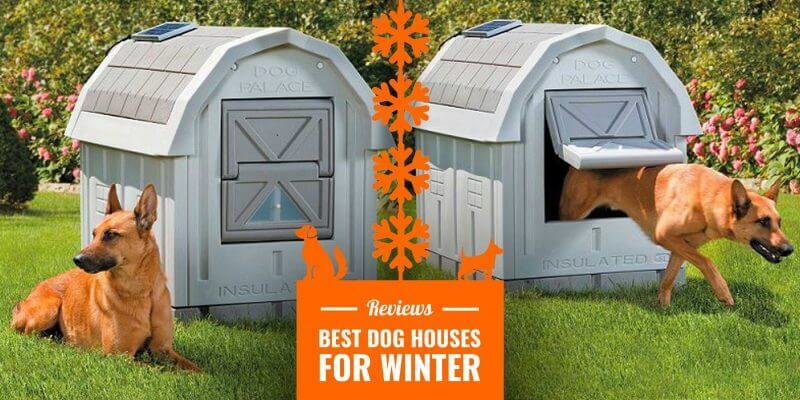 Here is our list of the top 10 best winter dog houses with short reviews for each! The ASL Insulated Winter Dog House is by far the absolute best dog house for winter. Every little detail has been engineered to comfortably protect your dog from cold weather and harsh elements. An electrically-operated floor heater is embedded in this palace in order to provide sustained warmth regardless of how freezing it is outdoors. Additionally, to retain the heat, each wall is stuffed with professional-grade styrofoam EPS material. It is thermal insulation and water barrier used in most real-life buildings that your winter dog house now includes. Every dog house should also engineer a perfectly well-fitted dog in order to keep cold air outside. The ASL Solutions Dog Palace comes with a self-closing insulated door. There is no spare space between the frame and the door itself, unlike most flaps out there. The self-closing front door boasts a see-through window which helps anxious dogs see what is happening outside. Complete isolation doesn't work well with all dogs! Additionally, to enhance training your dog to get used to its new winter home, you can remove the upper half of the entire palace! Lastly, cleaning is an easy task as the floor is slightly sloped towards a drain hole from which water can evacuate. We recommend you to use some lukewarm to warm water to rinse the interior of the dog house. Let it air dry during the day so it is able to accommodate your dog at night. — Great Insulated Dog House! 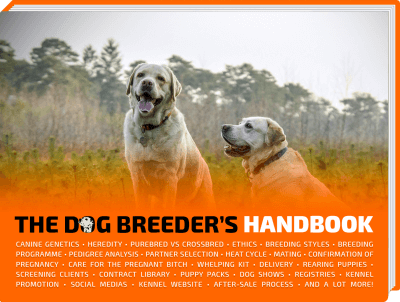 The DP Hunter brand provides high-quality pet products. This dog house is the perfect subzero dog house for multiple reasons. It comes with its own 30-watt heater that safely rests on the floor. Additionally, walls and ceiling are filled up with premium EPS insulation foam leaving your dogs perfectly cozy during the harshest days. This weather-proof dog house comes with a fantastic durable polystyrene exterior that further insulates the interior. When temperatures drop to extreme lows, this winter dog house will not disappoint. Pets do not have to feel enclosed in a tiny space as the house is equipped with a self-closing door that comes with its own viewing window. Your dog can still have the pleasure of looking out around his surroundings while comfortably lounging in his hot spot. Window panels are adjustable and self-storing for simplicity. They are designed to reposition themselves depending on the season. During the colder months, they remain in a closed position, and in the warmer months into a cross ventilation position. Therefore, this deluxe dog house provides the protection your dog needs and craves without any of the hassles. The floor remains raised above four inches off the ground, keeping the place dry as well as a draining hold with a slight slope. The mat, which features a built-in thermostat, is water-resistant and can be used for outdoor use, kennels, or garages. This is a dog house designed to last for years even when being mistreated by the rain, snow and windy storms. The door may be the only little problem with this outdoor kennel. They decided to use flaps instead of a self-closing fitted door. However, thanks to the overall built quality, it is not a big problem though. The manufacturer has not clearly expressed waterproof claims so I would recommend you to shelter this wooden dog house under a covered area. Better be safe than sorry, especially since this is not a cheap product. The floor is removable to promote an easy and regular cleaning routine. This dog house can be well-ventilated by opening the roof via unlocking two locking arms. This makes this product a year-around great pick despite having walls 150% thicker than most other kennels on the marketplace today. — Best Dog Igloo House! The Petmate winter dog house is ingeniously igloo-shaped and provides the most year-round housing for your dog. With an easy to clean design and expansive space inside, this homey cottage features some heavy-duty construction that provides the perfect insulation for any weather condition. 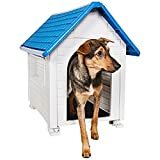 Whether its hot or cold, this indigo dog house provides an offset doorway for easy entrance and exit for your pets convenience. 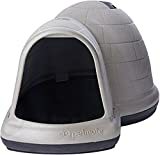 The roof ventilation provides maximum comfort for your pets as the unique design allows fresh air to circulate its premises. The Petmate dog house comes in medium, large, or extra-large sizes to fit any type of breed and size of the dog. 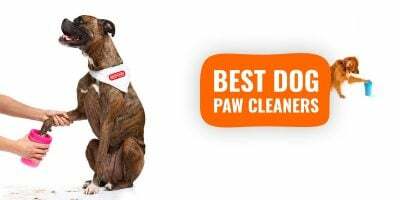 The advanced Microban antimicrobial protection prevents odors and stains while keeping your pets home clean. The inside of the Petmate features raised floors and side moats to keep liquids drained off encouraging a dry, comfortable resting place. The snap design is easily integrated into the product to allow for a simple assembly without needing any additional tools. For maximum comfort, Petmate provides accessories for added convenience including an Indigo-branded door and mat, which can be purchased separately. Made in the USA, your pet can now live at ease during any time of the year while enjoying air in the summer, and heat during the winter. It can even be shaded and protected from wind and rain. Users appreciate the durability this winter dog house offers. The Petsfit insulation kit is not a dog house, but rather an insulation kit that comes with the Petsfit Wooden Dog House. 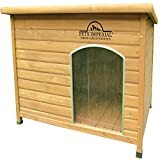 The actual dog house that this kit is used for measures 41.3 inches in length, 25.8 inches in width, and 30 inches in height, however, this insulation kit fits in a Petsfit 45.6 in by 30.9 in by 32.1 dog house. The dog house is sold separately. With this handy kit, buyers can be sure their dog house is getting the perfect insulation for subzero temperatures. The piece fits snuggly and keeps the inside nice and warm during those cold nights. It adds a sense of coziness and comfort for your dogs enjoyment. The material is easily removable and can be washed for sheer convenience. The insulation design is filled with an EPE foam that makes it easier to handle and provides the right fit for a leisurely rest. Just open the zippers to place or remove the foam. One of the most appreciated features is how easy it is to install as it comes in its own carry case for simple storage. A very sturdy bed kit, this Petsfit product can last a lifetime. This outdoor kennel made by Confidence Pet is an innovative waterproof dog house. It provides ample room inside and has earned its spot at the top of the list. 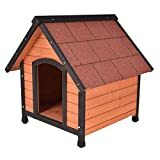 Users who have bought this dog house confirm that this pet house does not leak and provides the needed sturdiness any dog owner is looking for. Its plastic construction makes it an ideal dog house for easy and effective cleaning, as well as a quick set up and assembly. It is a very appealing house that resembles a conservative, suburban home. The durable and tough plastic material creates a comfortable and personal space for your pets. The ingenious design is built to withstand all weather conditions. It features an entrance of medium size that measures 10.5 x 17 inches. Large and extra large house entrances are also available for purchase that measure 12.5 x 20.5 inches and 14.1 x 24.6 inches, respectively. The waterproof dog house provides a hygienic way for your dogs “home away from home” settlement. It can beat those rainy days during outdoor use. When its extra cold outside, just throw a warm blanket over it to add additional insulation. Dog owners can also decorate by adding pillows inside. Meaning, the floor has been intentionally raised off the ground to encourage air circulation. That way, the floor stays dry and warm during cold days, and naturally cooler during warm days. This kennel uses the natural thermal properties of wood to perfection! The main drawback to use it as an actual winter dog house is its open entrance. You would need to block and insulate the front door yourself using a thick blanket or by cutting out a flap. If your dog naturally enjoy cold weather, then such open door won't be a problem at all. If you have a small dog or one with a shorter coat, you will need to block the cold air from entering your dog's palace. An ideal temporary bad weather shelter for dogs while traveling, this dog house is not a definitive solution. Instead, you can bring it while camping, trekking or even just when you go for a long walk in the woods. The casing is made of sturdy PVC so your dog is totally safe from the elements. Insulation-wise, this pet house may not perform well at all. With its low price tag and its overall great quality of manufacturing, the Petmate Barnhome III is a good option for days you are on-the-go. It is super easy to clean just by rinsing it and you can store it away within seconds. It comes in different sizes but would be more adapted for small to medium breeds. Large and giant dogs may feel a little tight inside. Thanks to a stabilized temperature and a raised floor, this outdoor dog house for winter will offer decent insulation against the mild cold. This is a good dog house for autumnal weather. 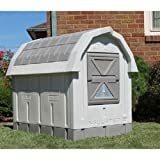 Because of this lack of styrofoam and self-closing front door, this dog house is not the best candidate for geographical areas in which temperatures drop very low. With a price nearly six times cheaper than the best winter-proof dog houses we recommend, it leaves you some spare budget to invest in a thermal heating pad and some blankets. Because of its small size, you should not install any dog heated inside this outdoor kennel. On average, customers needed five to ten minutes to assemble the seven parts that make up this dog house. It is easy to do even for the least handy ones amongst you. This is not made of heavy-duty PVC so owners of heavy chewers should invest in sturdier and more premium insulated dog houses. Only for indoors and for small dogs! Your dogs resting space couldnt get any comfier than with this sleek-designed winter dog house. 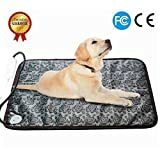 Ultimately created with your pets ease in mind, this tent bed features soft plush from top to bottom and side to side. With its faux suede material, corduroy and linen, your loved ones are bound to get lost in time while resting inside this haven. The soft poly-foam lining gives this tent an all-around soft feel while keeping your puppies warm. This house is great for indoors. It is ok for outdoor use unless the weather permits otherwise, as these winter dog houses can easily get dirty or wet from the rain. Their decorative design matches any interior of the home as they are inspired by elegance for pet design. Colors can be chosen based on the dÃ©cor of your home so that they will match. 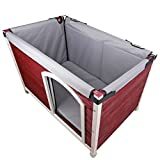 The house provides ample 19 x 19 x 19-inch dimensions inside to accommodate your pets, providing a sense of security and ultimate privacy from outside influences. This tent is so easy to maintain it can be washed in the machine without ruining its original shape. It is also easy to carry and travel with as it acts as a plush, soft crate. This durable dog house is made to last a really long time. 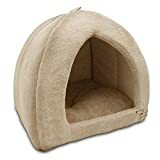 These dome beds do not collapse and fall over as other soft dog beds tend to do and come in a varied range of sizes to accommodate any breed. They also come with comfy pillows so your pet can comfortably get some shut-eye. Building a DIY winter-proof dog house requires thicker and insulation-friendly materials. Thick wood of high quality is ideal for the walls, while bricks and wood could be used for the flooring. Raise the floor to trap cold air between the ground and the house's floor. Remember to completely seal the edges where walls meet as these often allow cold air to come in. If you can buy insulation foam materials, wrap it around the house's roof, walls and floor to enhance heat retention. An important part is to turn the front door as a flap. That way, cold air is blocked outside of the home and the dog's natural body heat warms up the house. For adequate ventilation, you may use tiny holes in strategic spots so fresh air still comes in. If the winter-proof dog house is not sheltered in a garage or covered area, reinforce the roof using a waterproof lining. Heavy rain can degrade any regular flooring within a few hours, especially when the dampness is sustained for days or weeks. Check out the below video as it offers great insights on building and proofing your DIY dog house! Cold weather makes dog bodies burn a lot more calories in order to constantly elevate their body temperature. Therefore, a dog needs a lot more calories during cold days. Providing more frequent meals to your dog may be better than your usual daily single large meal. That way, the calories from their diet can be used more efficiently throughout the day. Using a heated dog bowl will also allow your dog to drink warm water throughout the day and night, and prevent the liquid from freezing if left outside. Add-ons such as dog blankets and heating mats definitely better your dog's life during winter. When dealing with any electrical appliance, indoor or outdoor, take precautions to avoid obvious dramatic accidents. The obvious quick fix for any dog owner is to buy and install a dog house furnace. I would love to hate on these but they do work extremely well and do what they say they do. They are moderately priced but do last for several years. 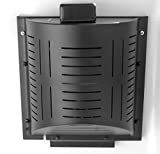 Good dog house heaters such as the Akoma Hound Furnace, need you to manually install them within your dog's kennel. While most people are happy doing it, others who are not very handy will hesitate. If you have a large kennel or some kennel runs, such heaters are perfect and professional-grade. 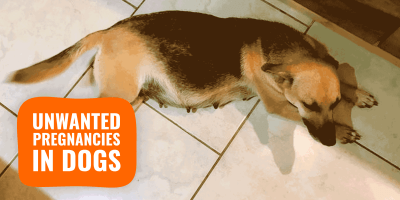 Thermal pads are flat heating devices placed under a dog bed or acting as dog beds. Products vary in design but the most important distinction to pay attention to is their heating mechanism. A lot of heating pads are electrically powered and require to be plugged. While others use special materials to offer a self-heating and heat-retention mechanism. For these, the dog's natural body heat bounces back as soon as it leaves the dog's body. Thermal mats and thermal pads for dogs are simpler to use and a lot cheaper to buy. However, heating pads may be insufficient during very harsh cold weather when temperatures enter the sub-zero zone. Dogs should remain hydrated whether it is hot or cold outside. Yet, too many dog owners forget that water will freeze when left outdoors so using a heated dog bowl is a must. Do not boil the water and leave it out as it represents a danger for the dog who tries to drink it right away, and will eventually cool down and freeze after dozens of minutes. When buying a heated dog bowl, be sure to see what low-temperature limits it has. Ideally, pick a product that remains intact even at 20 degrees below zero F.
Thermal blankets for dogs are cheap and easy to stock up. They can be washed with regular clothes, and you can pile them up on a dog bed for more heat retention. Dog blankets come in so many shapes, sizes, and materials. You need to try a few before finding the one(s) that your dog really love to be snuggled up in. Fleece, sherpa and microfiber plush are great materials during cold weather and they won't set you back by much. When you place an order, plan ahead and buy a couple of set so you have one ready to be used while the other set is in the laundry. 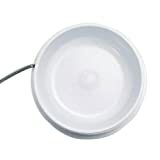 Heat lamps are specially-designed lamps that emit heat rather than visible light. Infrared heat lamps are a great way to provide an external source of heat controlled environment for dogs, puppies, and small animals like chickens. Farmers have been using these infrared lamps for years in order to maintain their coop temperature constant.